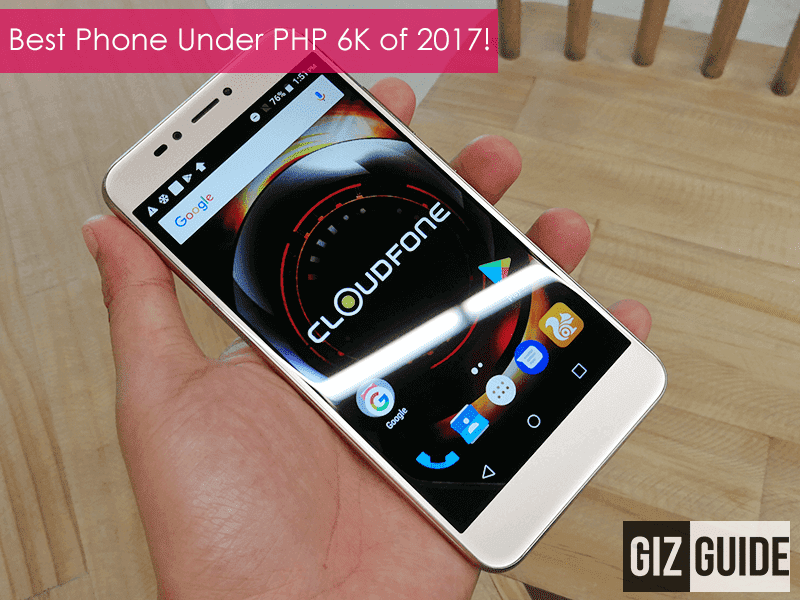 Editor's Choice: Best Smartphone Under PHP 6K of 2017 - Cloudfone Excite Prime 2! Home / cloudfone / features / mobile / Editor's Choice: Best Smartphone Under PHP 6K of 2017 - Cloudfone Excite Prime 2! Budget phones are getting better and better. As a matter of fact, we reviewed several great smartphones with under PHP 6K price tag this 2017. Without further ado, team GIZGUIDE's top pick for the best smartphone under PHP 6K this 2017 is a special one from Cloudfone, the Cloudfone Excite Prime 2. In case you missed our review, the Cloudfone Excite Prime 2 is a step above most of its mainstream competition. Build is decent, design is great, and screen size is 5.5-inch big. In addition, it has bigger RAM and storage that most at this price point. In particular, it has 3GB RAM and 32GB expandable storage. Moreover, it has 700MHz LTE support for faster and better indoor LTE signal reception. Cameras are also great and feature-rich for the price. It even has portrait mode and flash for both back and front cameras.